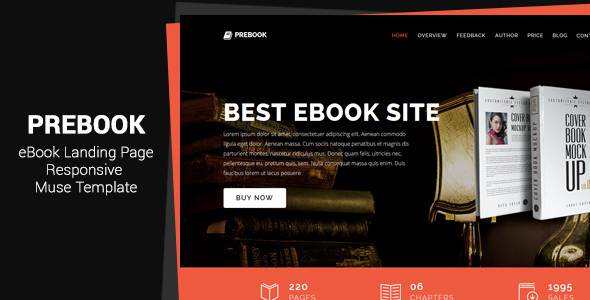 Prebook is a clean, beautiful and professional One-Page eBook selling template. It is designed to easily show off your eBook’s features all in single page so that your customers don’t need to look around for it. Boost your eBook sell with this amazing template! 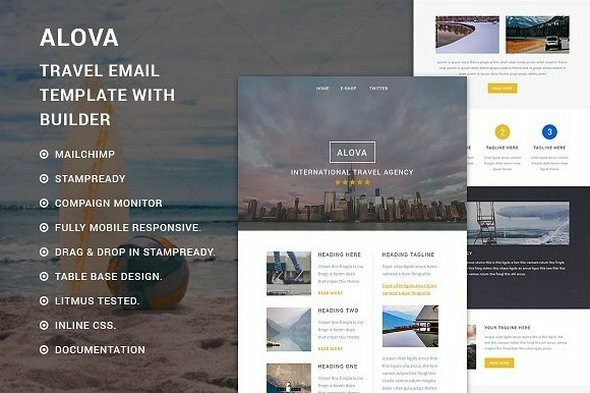 Alova - Responsive Travel Email template with Stampready builder. 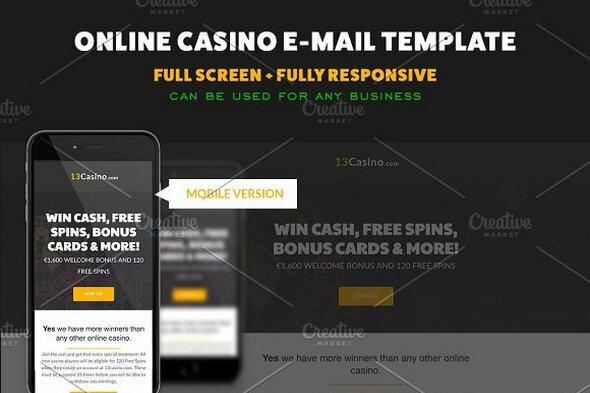 Fully Responsive and Major email client Supported.You can easily make changes through MailChimp, campaign monitor or Drag & Drop in StampReady. Without any coding knowledge. Very Good Performance For Business, Portfolio ,Multipurpose and Any Purpose. 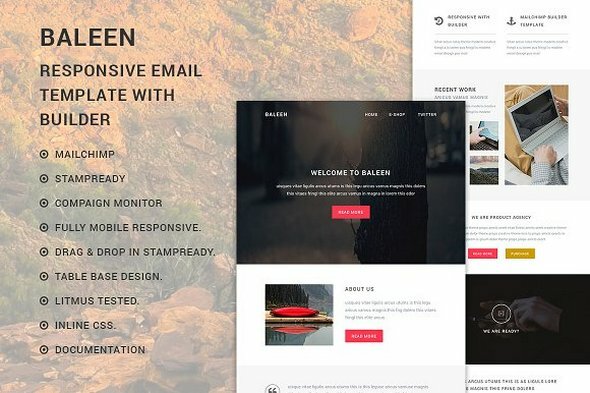 Bait e-flyer Responsive Email template with Stampready builder. Fully Responsive and Major email client Supported.You can easily make changes through MailChimp, campaign monitor or Drag & Drop in StampReady. Without any coding knowledge. Very Good Performance For Business, Portfolio ,Multipurpose and Any Purpose. 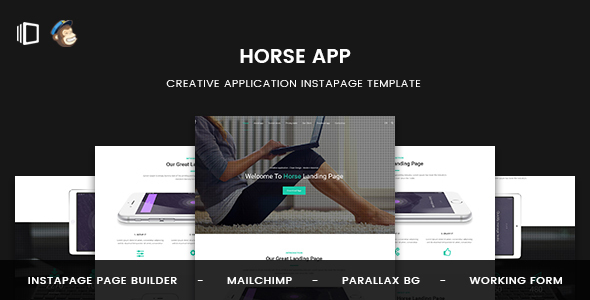 Horse App is a clean and modern Application Instapage Template. It can be used to promote your services, It has some features which will help you make your project stand out from the crowd. It has been optimized to facilitate your time and money. It is well documented which will help you to get your site running easy and fast. You can customize it very easy to fit your business needs. 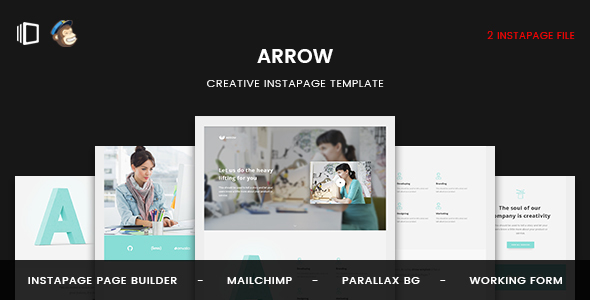 Arrow : is a clean Instapage template. It can be used to promote your services, It has some features which will help you make your project stand out from the crowd. It has been optimized to facilitate your time and money. It is well documented which will help you to get your site running easy and fast. You can customize it very easy to fit your business needs. Arrow : is a clean and modern Multi-Purpose Unbounce template. It can be used to promote your services, It has some features which will help you make your project stand out from the crowd. It has been optimized to facilitate your time and money. It is well documented which will help you to get your site running easy and fast. You can customize it very easy to fit your business needs. 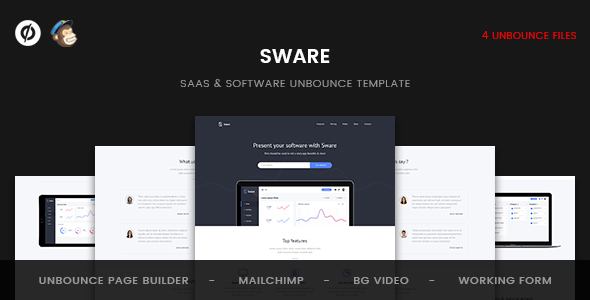 Semi : is a clean and modern SaaS & Software Unbounce template. It can be used to promote your services, It has some features which will help you make your project stand out from the crowd. It has been optimized to facilitate your time and money. It is well documented which will help you to get your site running easy and fast. You can customize it very easy to fit your business needs. 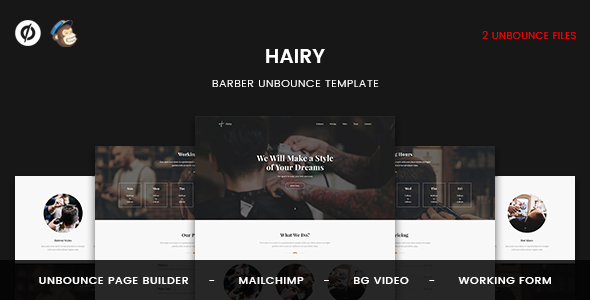 Hairy is a clean and modern Barber Unbounce template. It can be used to promote your services, It has some features which will help you make your project stand out from the crowd. It has been optimized to facilitate your time and money. It is well documented which will help you to get your site running easy and fast. You can customize it very easy to fit your business needs. 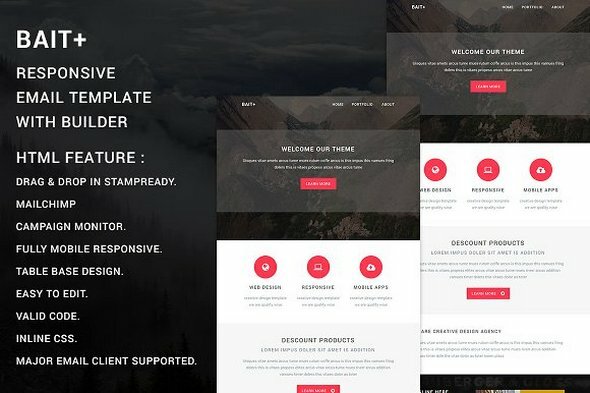 Insure is multipurpose template options for web developer, or designer who needs a web template to promote and introduce their business company or clients. 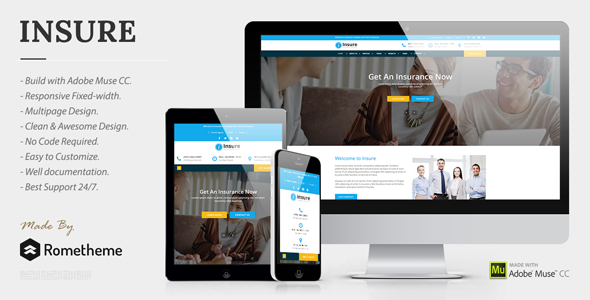 Insure is designed for Insurance, Finance, Marketing, Consulting & Multipurpose Business.